As I said on my Star Wars cake post, I decided to throw my son a Star Wars themed party. 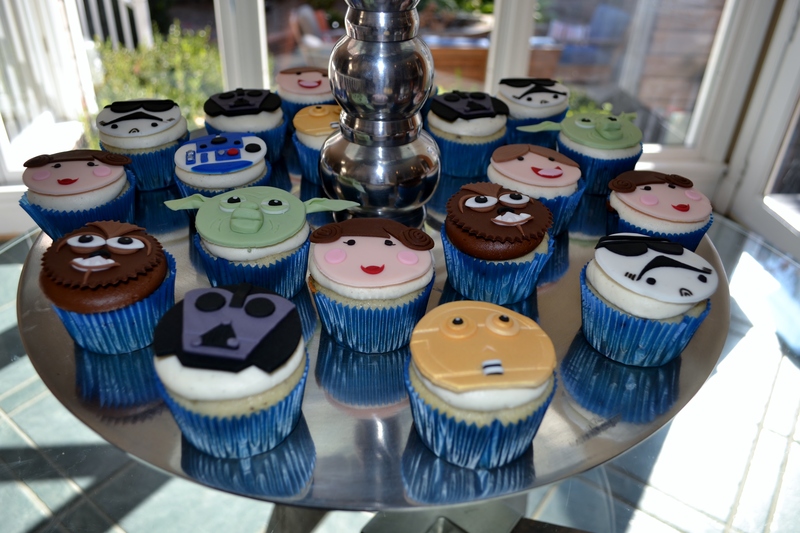 Of course, he wanted to bring Star Wars themed cupcakes into his classroom for his birthday celebration. I created a little cupcake topper for each of the main Star Wars characters. These cupcakes can also be paired with the cake (or a smaller version of it) for extra servings or to complete a dessert display.